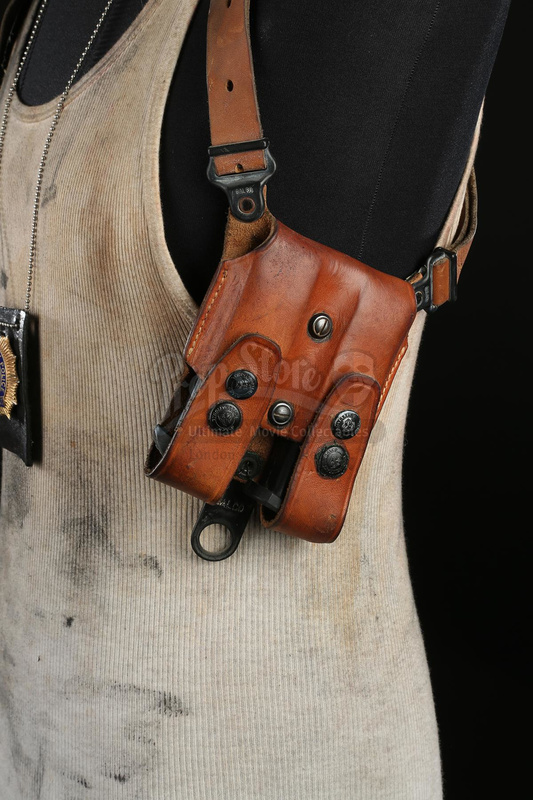 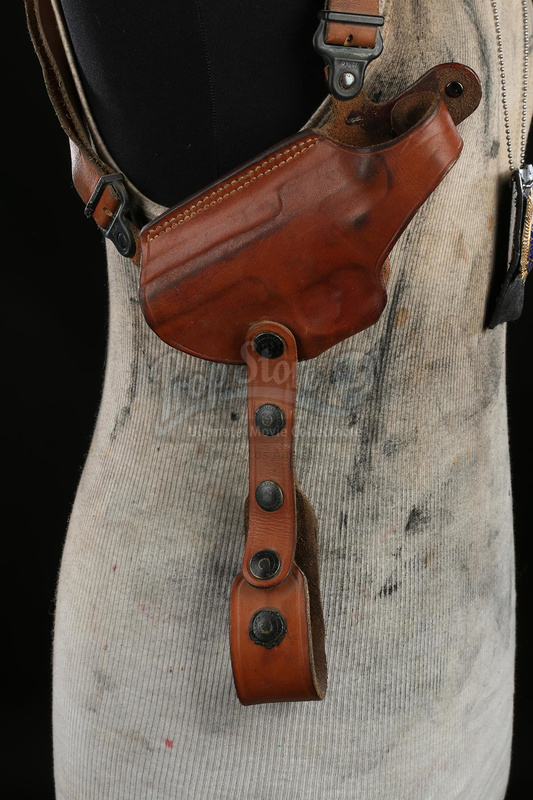 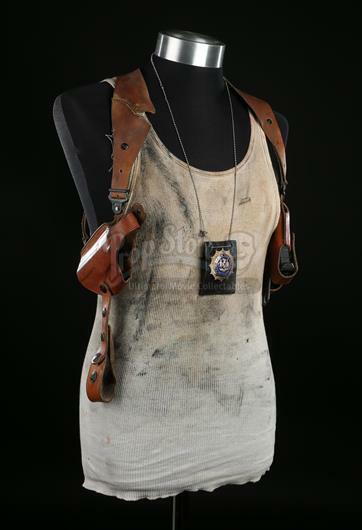 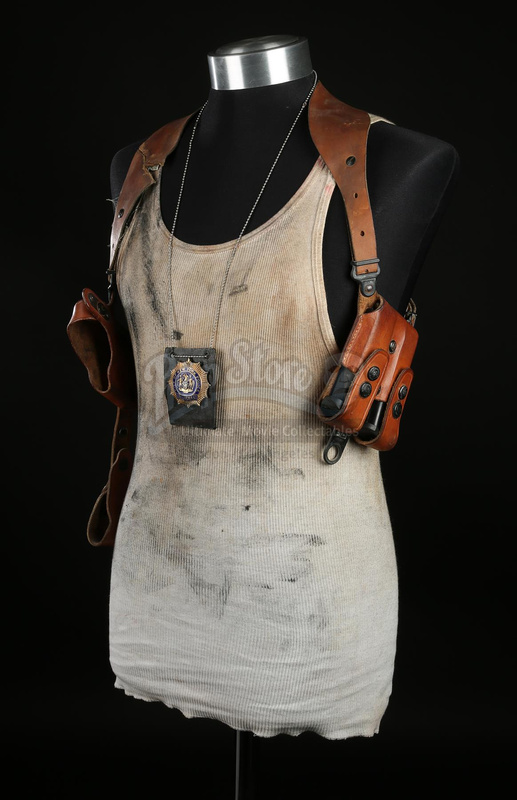 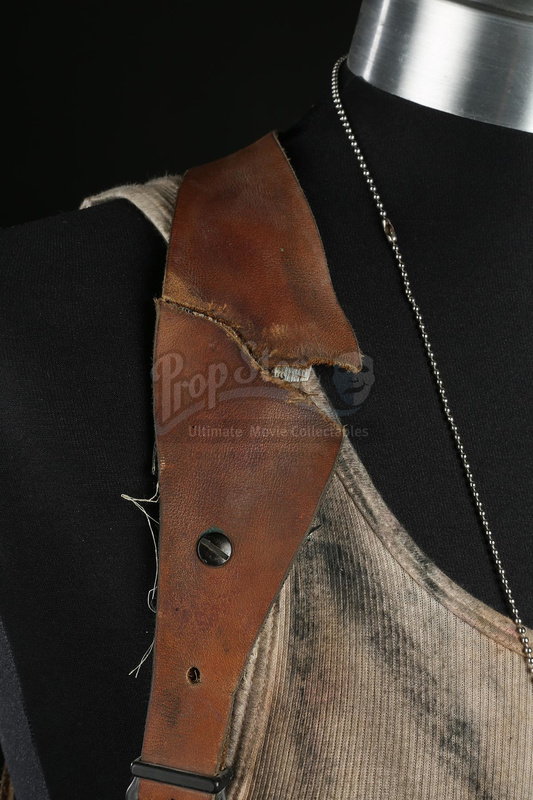 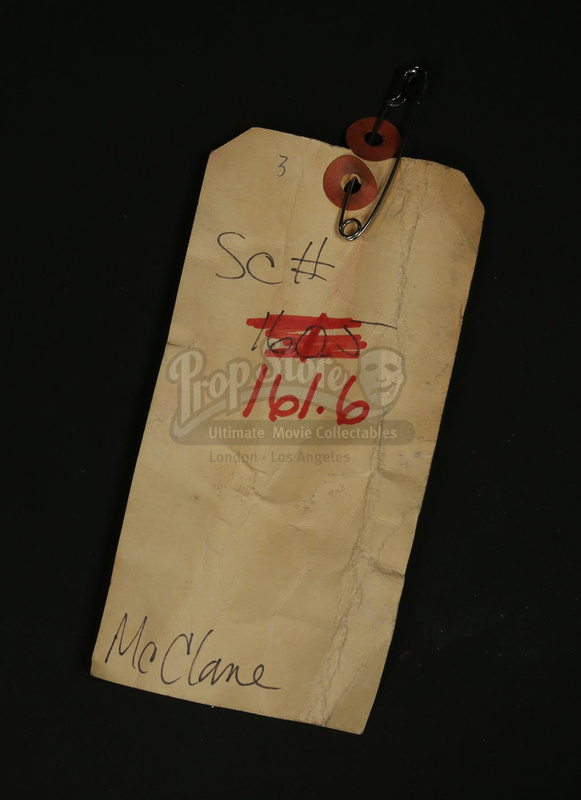 John McClane's (Bruce Willis) vest, badge and holster rig from John McTiernan's action thriller Die Hard With a Vengeance. 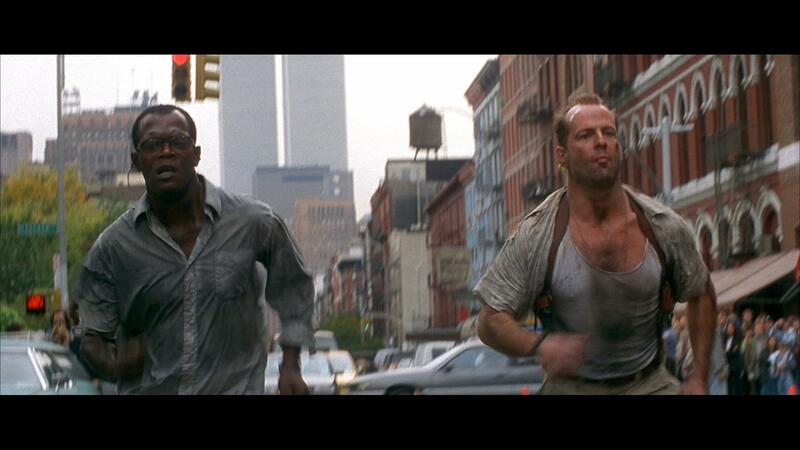 McClane wore his vest throughout the film as he and Zeus Carver (Samuel L. Jackson) attempted to stop terrorist Simon Gruber (Jeremy Irons) in New York City. 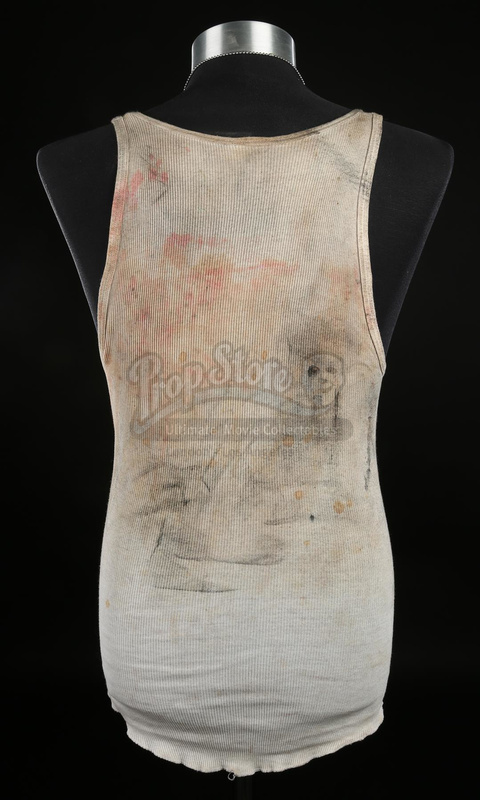 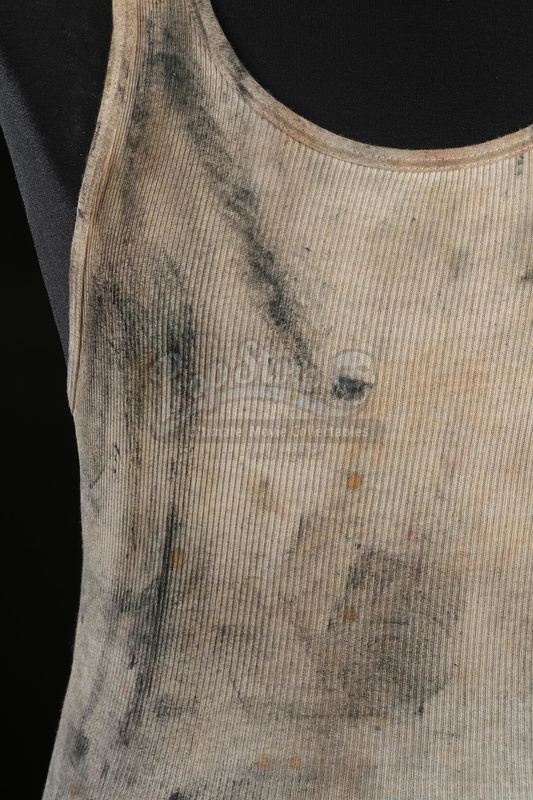 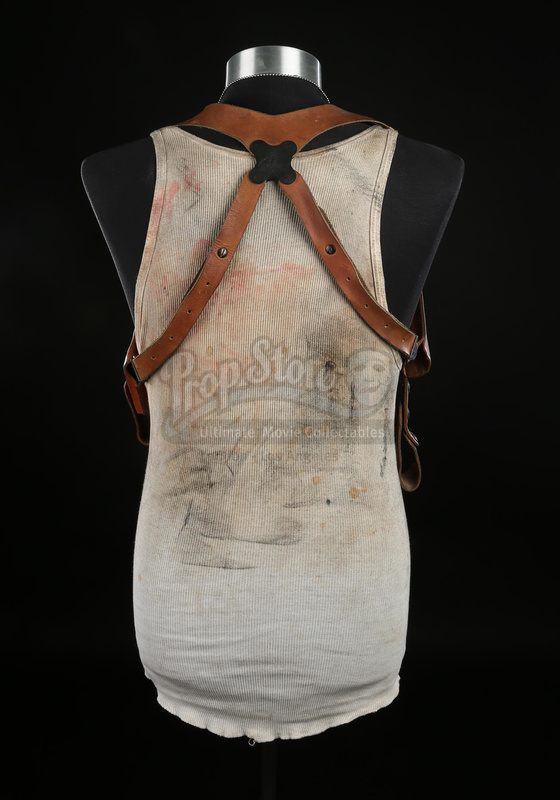 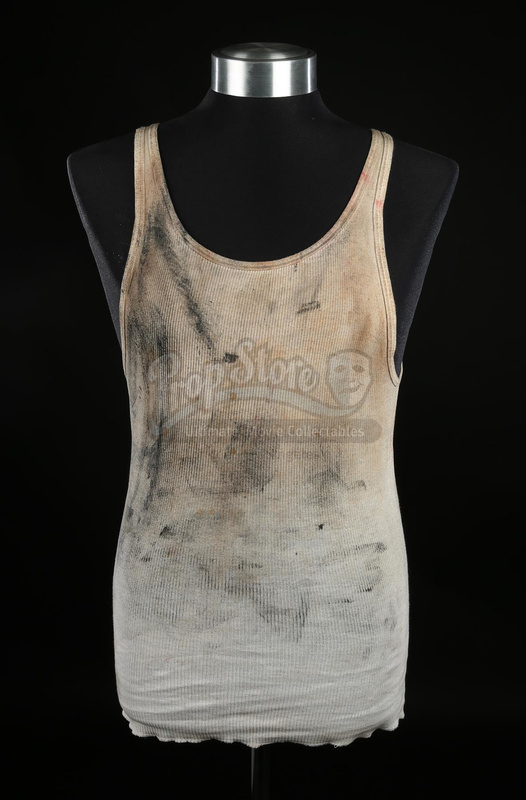 The ribbed white vest is made of cotton and displays heavy distressing to reflect the wear and tear inflicted during MClane's adventure, including dirt and stage blood. 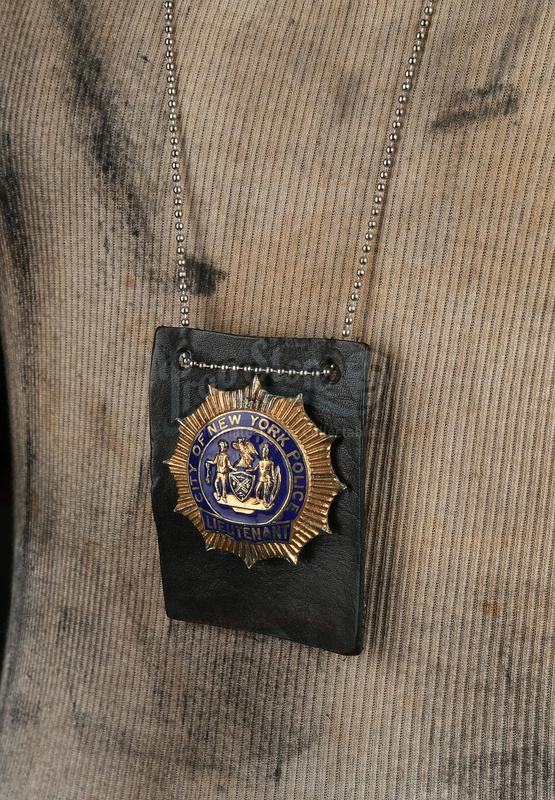 The blue and gold badge is made of metal and reads 'City of New York Police', with McClane's position given as 'Lieutenant' underneath. 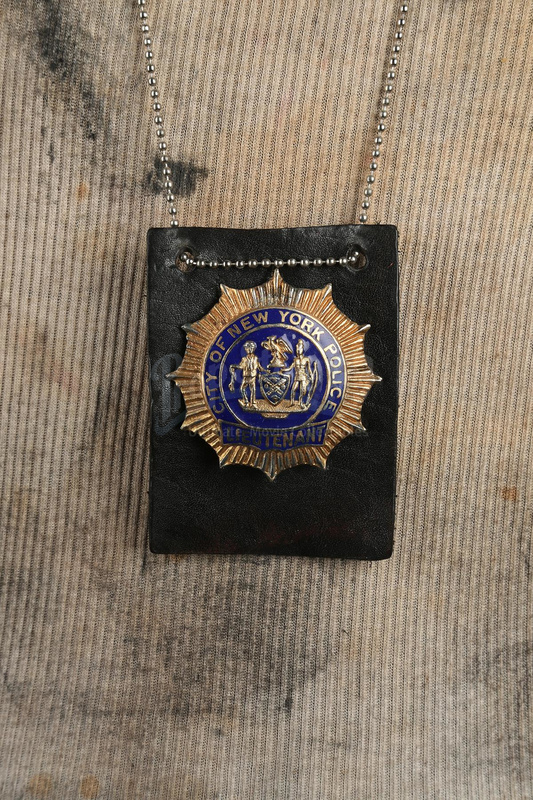 The badge has a pin fastening and is secured to black leather backing, with a metal ball chain to be worn around his neck. 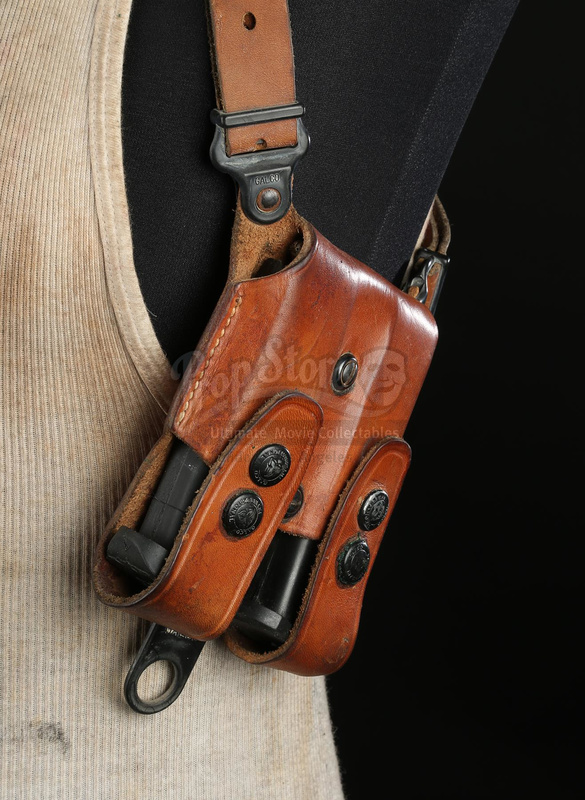 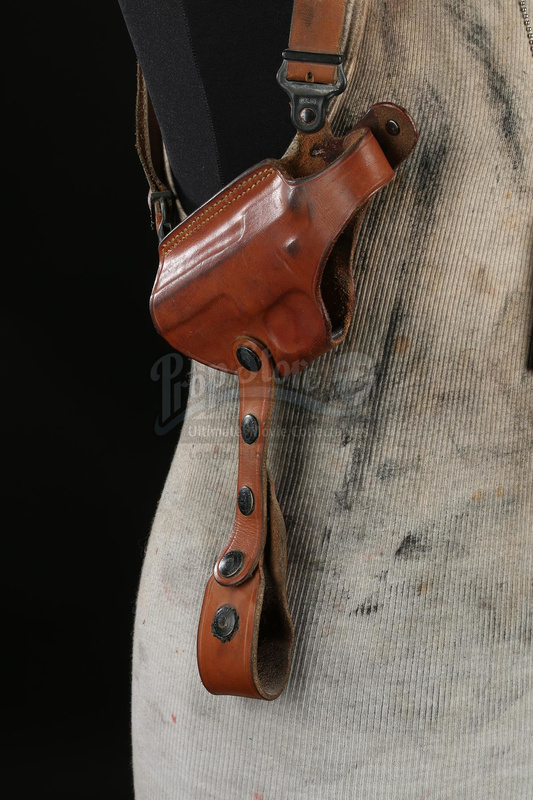 The shoulder holster rig is made of brown leather and features a pair of rubber magazines in the right pouch.